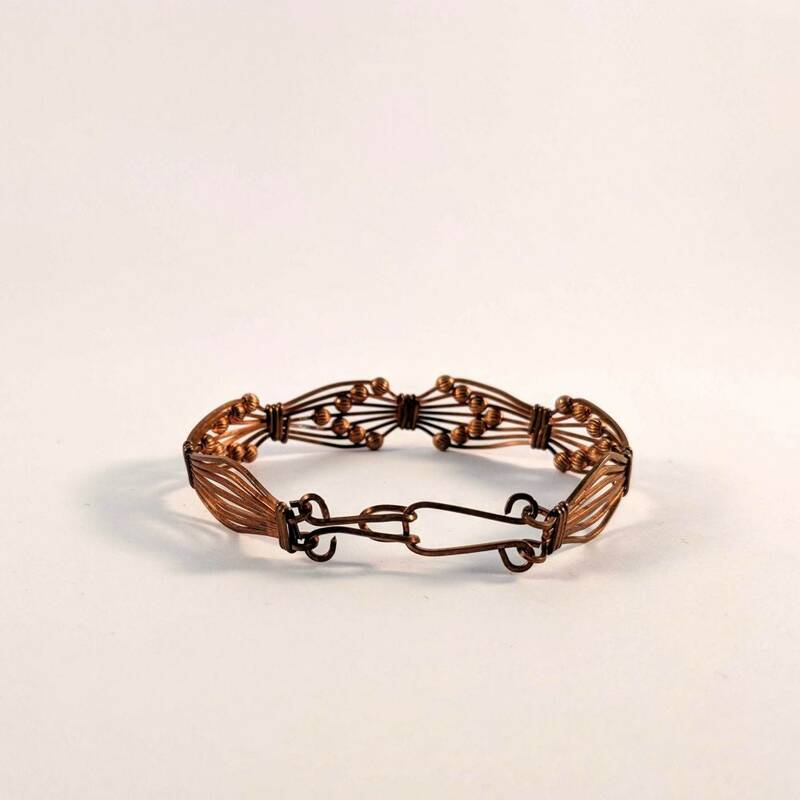 Square copper wire forms the foundation for this bracelet. 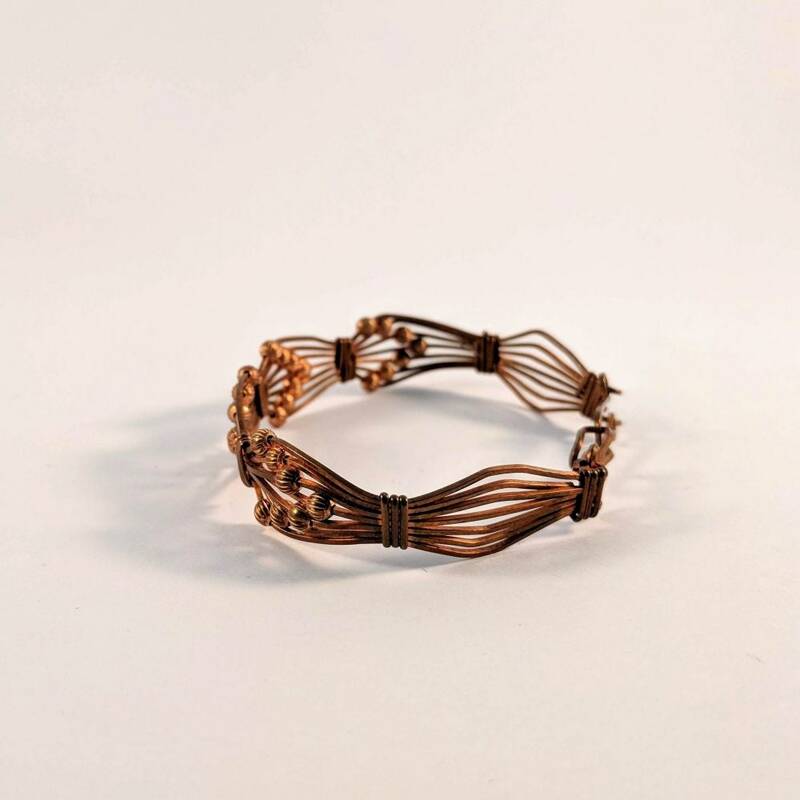 The addition of 3mm copper beads are arranged in such a way that there appears to be arrows pointing in opposite directions. It has a handmade hook and eye closure. At its widest, it is approx. 1/2 inch and measures approx. 7 inches around. 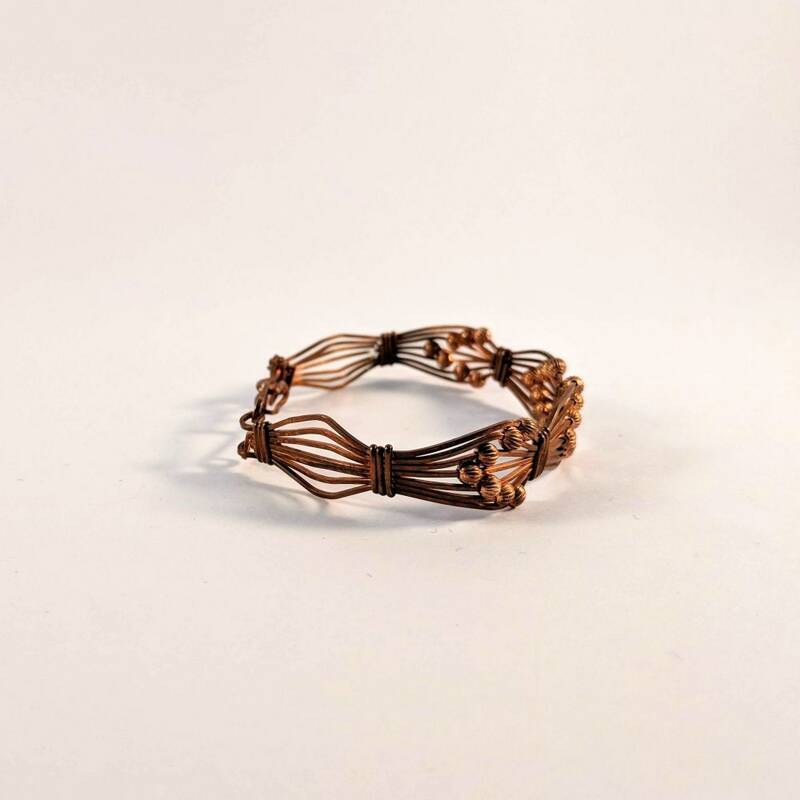 Larger sizes can be ordered as well as other metals. Also it was sacred to the Sun in Babylon as well as the Pacific Northwest (US). Its association with past solar attributes makes it a lucky metal to be used with good fortune gemstones. 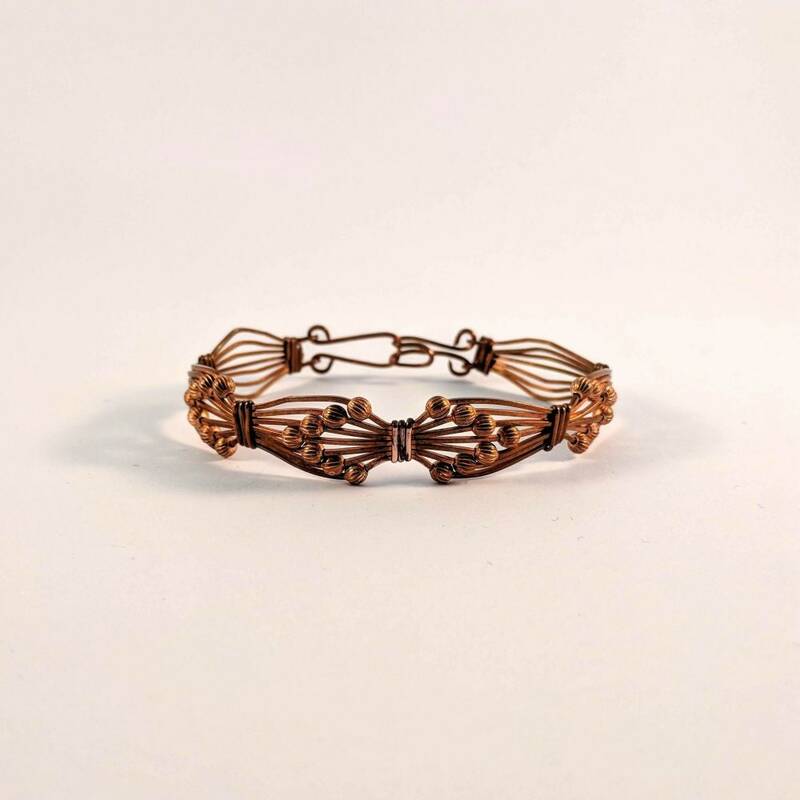 This bracelet is absolutely gorgeous! It is even prettier than in the photo. 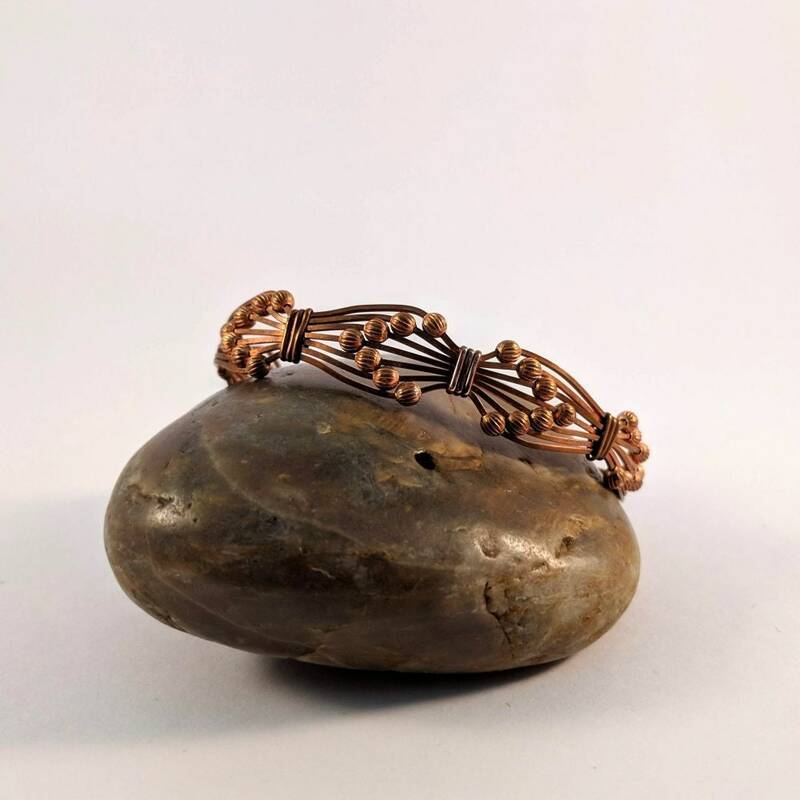 The customer service was magnificent, alerting me to the status of my order, packing the bracelet securely and decoratively, and shipping it out lightning fast. Everything was perfect. Thank you!